Although you may say, "I’ve been robbed," by definition, you may actually have been "burgled." Read the about the different terms below to learn more. Robbery is the taking or attempting to take something of value from another person by use of force, threats or intimidation. It is committed in the presence of the victim. Robbery is commonly known as a "holdup" or a "stickup" (i.e. bank robbery or mugging). Robbery is usually divided into different ‘degrees’. The degrees vary by state and can also depend on whether a weapon or something that appears to be a weapon was present and/or if an accomplice was present. Any degree of robbery is considered a felony by law. You might also hear the term ‘aggravated robbery’. If a suspect makes a victim believe that he has a deadly weapon by showing a weapon, saying he has a weapon or displaying something that appears to be a weapon, it is aggravated robbery. Again, the definitions and degrees of robbery vary from state to state. Consider contacting a legal advisor or a police officer in your area if you would like to learn more about the legal definitions in your jurisdiction. Burglary is the unlawful entry of a ‘structure’ to commit a felony or a theft. Burglary is commonly known as a "break in," or, "breaking and entering." A ‘structure’ is usually in reference to physical buildings but not cars. Car break-ins or thefts are considered larcenies. Burglary does not necessarily translate to damage. It is still considered burglary if someone enters through an unlocked door or window with the intent to commit a felony or theft. This is called ‘non-forcible entry’. ‘Forcible entry’ is when windows and doors are broken or forced; screens, walls or roofs are broken; tools are used; locks are picked, etc. You might also hear about ‘attempted forcible entry,’ which is when a burglar attempts to enter but is frightened off. Again, the definitions of burglary vary from state to state. Consider contacting a legal advisor or a police officer in your area if you would like to learn more about the legal definitions in your jurisdiction. All thefts of motor vehicles or from motor vehicles (parts, accessories, personal property) are considered larcenies whether the vehicle was locked or unlocked. Along with motor vehicle theft, larcenies can include purse snatching, shoplifting, theft of any bicycle, fraud, embezzlement, identity theft, forgery, con games, etc. You might have heard of ‘grand larceny’. In the U.S., this is usually defined as stealing an amount valued at $200 or more. There is also ‘petit (petty) larceny’, which is a smaller amount stolen. Again, the definitions and degrees of larceny vary from state to state. 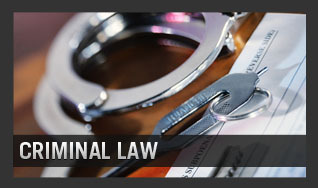 Depending on the degree of larceny, the penalties may range from a misdemeanor to a felony. Consider contacting a legal advisor or a police officer in your area if you would like to learn more about the legal definitions in your jurisdiction. Theft, larceny and loss of personal property may not be covered under certain insurance policies. Be sure to read your policy carefully. Legally, theft is often synonymous with larceny. Again, the definitions vary from state to state and jurisdictions. Consider contacting a legal advisor or a police officer in your area if you would like to learn more about the legal definitions in your jurisdiction. Sometimes viewed under the category of theft or larceny, extortion is when a person forces another person to do something against his will (usually give up money) by threat of violence, property damage, extreme financial hardship or damage to the person's reputation. Blackmail is a type of extortion. Racketeering is also often linked to extortion. In robbery, the offender steals from the victim by immediate threats and force. In extortion, the victim willingly hands over personal property in order to avoid future damage or violence. The main part of the investigation will be about the identification of the perpetrator or the person who committed the robbery. If you or a family member has been robbed, the police will ask you questions about the offender. They may ask you to describe the perpetrator’s clothing, age, height, weight, hair color and other distinguishing factors. You may be also asked to repeat anything the perpetrator said, what kind of car he/she was driving and in which direction he/she was headed. This may be a difficult time but understand that correctly naming characteristics and information may help the police in their investigation. Police investigations vary depending on the case and jurisdiction. Consider contacting a legal advisor or a police officer in your area if you would like to learn more about the investigation procedures in your jurisdiction. The main part of the investigation pays close attention to the breaking and entering areas, such as the entry and exit points. They may dust for fingerprints, take pictures and ask you questions about the burglary. This may be a difficult time but understand that information may help the police in their investigation. There are many different types of larceny-thefts. Therefore, each investigation will focus on different areas. If you were a victim of a purse snatching you may be asked questions about the offender’s age, weight, height. If you were a victim of identity theft, you might be asked about your credit card activity and bank statements. 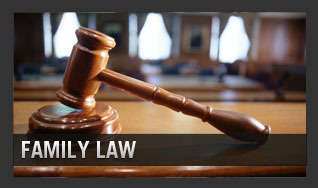 Extortion investigations would focus on the person or persons involved in the crime. Corporations and/or individuals, along with business activities, records and important documents, may be under investigation.